When you first got into foodservice as a junior manager some ten or so years ago, the world was a different place. The Great Recession was just beginning to peak at us, smartphones were nascent, and full-service casual restaurants like yours still had the lion’s share of the restaurant market. "[The increase in the number of restaurants] is making the industry vastly more competitive, giving consumers more choice than they've ever had. They don't tolerate restaurants that are too expensive, too tired, too old or just plain out of favor." We’re keeping the focus on five main menu areas that most full-service casual restaurants offer. This way you can easily find ideas to put into practice right away. If you've always loved the look of enameled cast iron, but couldn't afford it or found it too heavy to easily use in your operation, we have excellent news. There's a new alternative for enameled cast iron, Heiss™ Minis, on the market and they're adorable. 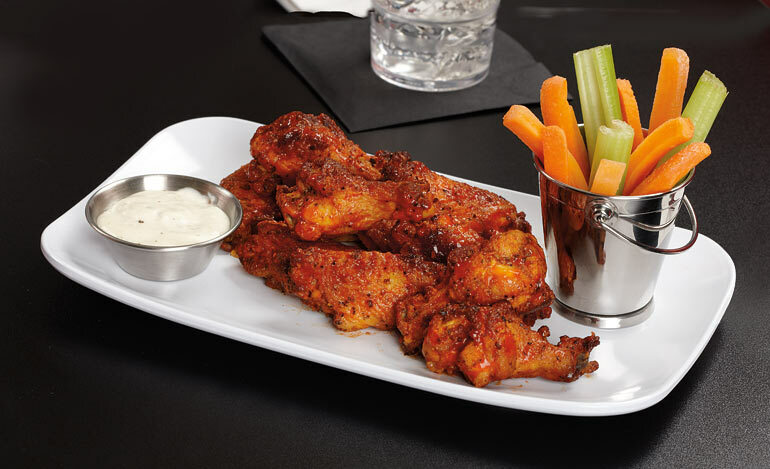 They're made from cast aluminum and will give your food the same scratch-made look and feel as the real deal. 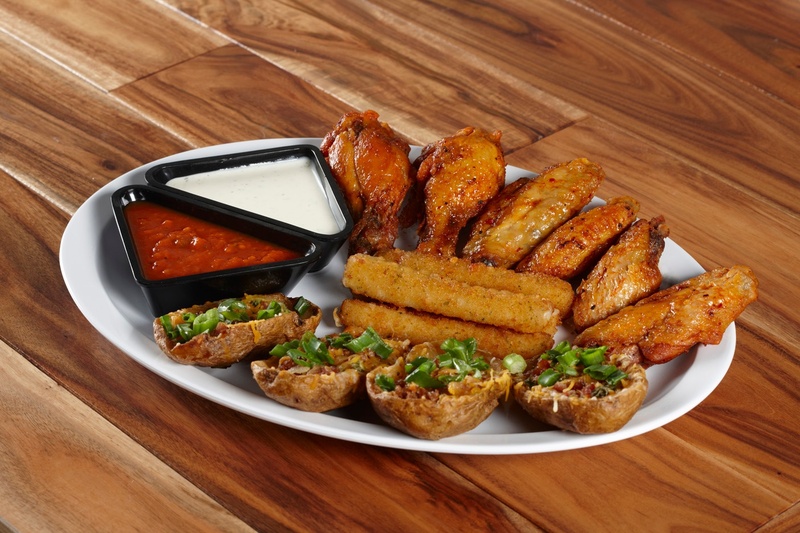 You can upgrade your whole presentation just by using these to serve your hot side dishes without the need to upgrade your plateware. And because aluminum is much more affordable than enameled cast iron, you're saving money by using a more affordable material. Of course, both enameled cast iron and Heiss™ Minis are great ways to dress up your presentation instead of using a disposable Styrofoam™ container. But Heiss™ Minis are specifically made for foodservice, so you may find them more efficient to use in a high-volume setting. Featured: (Left) Food-safe paper, wood serving board. (Right) Select Heiss­™ Minis in red and black, wood serving board. Request samples. They’re perfect for serving up hot side dishes like loaded mashed potatoes, mac ‘n cheese, sweet corn, Brussels sprouts, green beans, you name it. Half the mini pot styles in the collection come with a lid, which you can use to create an engaging service presentation: When the server delivers the food, they can remove the lid and place it on the table. This allows aromatic steam to escape the dish, drawing your diners into their experience. Featured: Heiss™ Red and Heiss™ Black. Request samples. “You can have a transaction in your space, but that doesn’t mean that it will necessarily create a connection with your customer," [she] said of the importance of also engaging restaurant-goers with exceptional customer service and other amenities. The simple motion of removing the lid creates an additional service amenity that will surprise and delight your guests. It's an attention-to-detail bonus they can't get anywhere else, which is the perfect way to entice them to visit you again with their friends in tow. All these benefits to presentation and guest experience, and the only thing you did was plate your side dish in a different vessel. Featured: (Left) White, rectangular melamine plate, 4 oz. melamine condiment cup. (Right) White, rectangular melamine plate, 4 oz. metal condiment cup, galvanized metal French fry cup, double-open food-safe paper liner. Request samples. Featured: (Left) Rectangular melamine platter. (Right) Rectangular melamine platter, bistro pot with lid. Request samples. Additionally, the different styles available, like wire, galvanized, or reclaimed metal, offer an ideal way to incorporate the popular urban industrial décor into your restaurant. This style leans on raw materials like wood and metal and can fit right in with many existing styles of full-service casual restaurants. Featured: Specialty Servingware. Request samples. 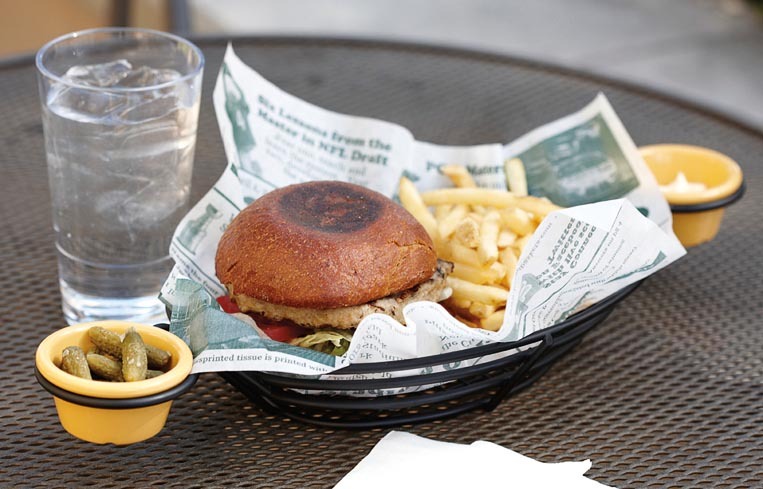 Most restaurants add food-safe paper liners inside baskets, cones, cups, and buckets to complement their presentations. Functionally, this keeps servers’ hands from touching the food – especially with wire metal cones and baskets – and keeps crumbs off the table. Featured: Oval wire basket with 2 sauce cup holders, food-safe paper liner, 4 oz. condiment cups. Request samples. In the aesthetics department, there are many new food-safe paper designs on the market with trendy, entertaining layouts like typography, colorful checkered patterns, and even a faux burlap design. By choosing modern styles over plain brown or white food-safe paper, you get a custom look without the price. Featured: Food-safe paper liners with modern designs. Request samples. Lining baskets of tortilla chips, fried pickles, hot wings, etc. Featured: White, oval melamine platter, 3 oz. triangular condiment cups. Request samples. Condiment cups, or ramekins, may offer one of the most affordable and easiest ways to upgrade your overall presentation. Like all the other items on this list, every full-service casual restaurant uses sauce cups for anything from dressings like ranch, ketchup, or melted butter to small toppings like pickle slices, jalapeños, or pico de gallo. Featured: White, rectangular melamine platter, 2 oz. condiment cup, mini French fry pail. Request samples. Simply switching from plastic condiment cups to metal, or ones with unusual shapes like the triangle ones above, is all it takes to bring your presentation to the next level. Additionally, metal condimet cups fit the urban industrial trend we’re seeing everywhere right now. Featured: Oval wire basket with handles in black and stainless steel, food-safe paper liner. Request samples. Many full-service casual restaurants start their meals out with complimentary bread service. Focusing on this part of the meal by bringing in stylish ways to offer bread service allows you to set the tone and expectations for the rest of the dining experience. It's a perfect way to wow your guests from the get-go. 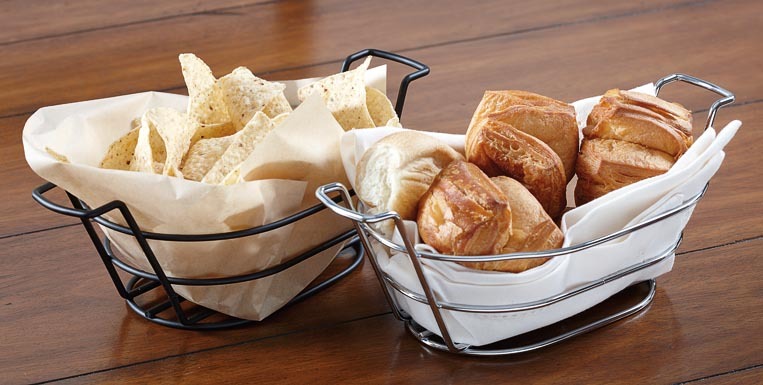 Featured: Round wire basket, double-open food-safe paper, square stackable basket. Request samples. Similar to the options in the fried sides section of this post, bread baskets come in a range of metal styles and designs that fit well with modern décor themes to keep you on-trend. Why not focus on this part of your presentation? Even better – you can incorporate modern food-safe paper designs to line your bread baskets for a doubly impressive experience. All of these options open the door for you to easily and affordably upgrade your tabletop presentation without replacing all of your plateware. Additionally, since these upgrades are so simple, you won’t need to make any major operational changes or accommodate new items with extra storage space. This win-win may be the easiest one you've won in your lifetime. If you’re ready to upgrade your presentations and create raving fans in the process, why not try a sample first? 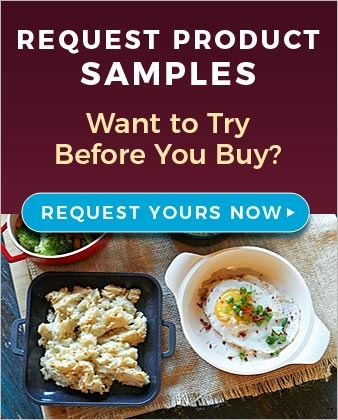 You can quickly request samples of all the products mentioned here by filling out this form. When they're in your hands, you can play around with different ideas until you find the perfect plating for your particular restaurant. Do you have questions, or want expert insight to guide you along the way? Call us at (800) 727-4500, or email info@get-melamine.com and our knowledgeable team will gladly help you along. Melamine Plates vs. China Plates: Do Your Restaurant Customers Really Care?